Siamamulets.com's Facebook Group is up and running! Please do join us there. Do invite your friends and family over to this new forum taken over by new management! New Amulet Releases New batch of amulets releasing soon? Post here to share with all members. 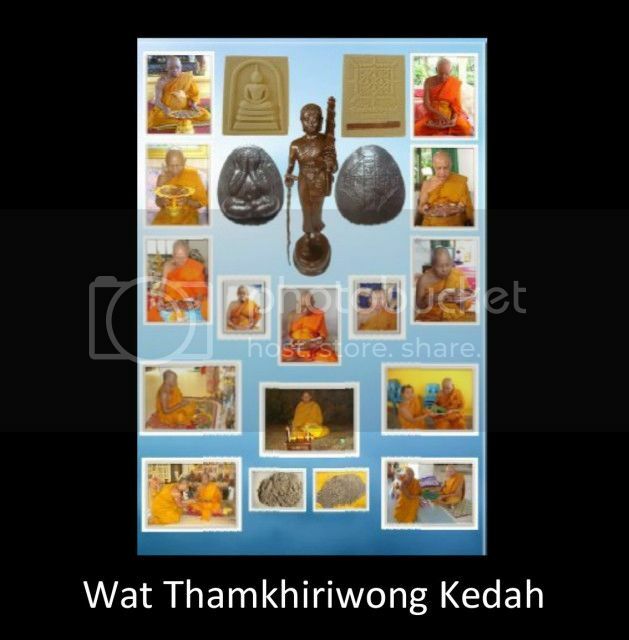 Hope this will be a joyous occasion for all votive tablet collectors keen in Kedah Masters talismans and for those of us who are happy to make donation in supporting a good cause. Alternatively, if you do not have any plan yet or nowhere to go during the coming Vesak Day, perhaps it is worth your consideration to visit Wat Thamkhiriwong. Sadhu! Sadhu! Sadhu! Text only in Malay language. After the blessing ceremony finish around 5-6pm on 1st May 2012, devotees can start renting the items at the temple. All donations generated from the renting of above items will be used for Ubosot construction. All times are GMT +8. The time now is 08:54.